Visit the Calendar page to see the semester schedule. hour private, or $35 for an hour semi-private. Helmets must be on and buckelled at all times while riding. NO EXCEPTIONS! Hard sole boots (minimal tread) with a small heel should be worn every lesson. Riding breeches are preferred, but stretch pants or jeans are acceptable. No earrings, necklaces, bracelets, or loose fitting clothing please! They are safety hazards. Hair should be neatly tied back. If you choose to wear chaps, they must be worn with full length pants (no shorts). No gum chewing while riding! the Food Lion and behind the Bear Creek BBQ and Grill. before the scheduled lesson start time. lesson. Arrive 10-15 minutes before the scheduled lesson start time. students and is not fair to them. actual ride time, and a 60 minute lesson will result in approximately 45-50 minutes of ride time. be accepted. Contact the farm for further details. shows must be evaluated by their instructor first. prior to acceptance into the lesson program. lessons of 4 or more students for the more advanced riders. 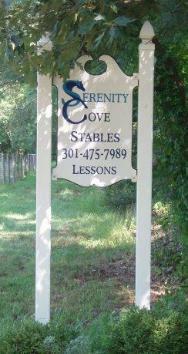 are educated in all aspects of horsemanship. Riding Attire, Lesson Structure, Policies, and Horse Shows.